Maryland asphalt maintenance products and sealcoat supplies and distributor located in Frederick, Maryland providing asphalt pavement sealer products, paving maintenance services, asphalt driveway sealers, concrete driveway sealers. Pavement Depot of Maryland serving Frederick, Maryland, Hagerstown and southern Pennsylvania. One stop shop for highway maintenance contractors. Introducing a convenient location for pavement contractors to obtain quality products right in Frederick, Maryland. Pavement Depot opened in August of 2006. 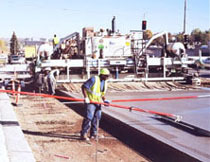 We offer everything for the pavement maintenance contractor. We carry S.T.A.R.S sealers along with all of their specialty products. Star Seal is the #1 formulated sealer on the market. In addition we also carry products from other manufacturers, such as: UPM, SGA Global, Deery and many more. You will also find a full line of tools. We also welcome the "do it yourselfer", home owner looking to repair or maintain their driveway or sidewalks. Pavement Depot of Maryland offers paving contractors the highest quality products and equipment on the market for maintaining highways, driveways and parking lots. We are open 7 AM to 6 PM Monday - Friday and Saturday 7 AM - Noon. You can call to order your supplies, or come into our shop located in Frederick, Maryland, to pick up all your maintenance and paving supplies. We will also accommodate serving you before/after and Sundays by appointment. Call us at 1-866-789-SEAL(7325) to have your order ready for pick-up. We also deliver. See directions to our shop in Frederick, Maryland. 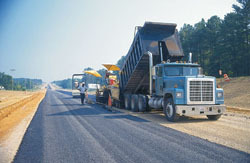 Paving Depot of Maryland strives to provide the services and products you want. We have a short online questionnaire that will help us to improve our services and offer you, the contractor, services and products you really need everyday. Please take just a minute of your time to fill out our online questionnaire. As a "thank you" we will be happy to credit your account with 5 gallons of coal tar emulsion. All of your contact information is for our use only and is NEVER SHARED with any other business or company. Managed by JL Palfrey for Shopping Portals Inc.